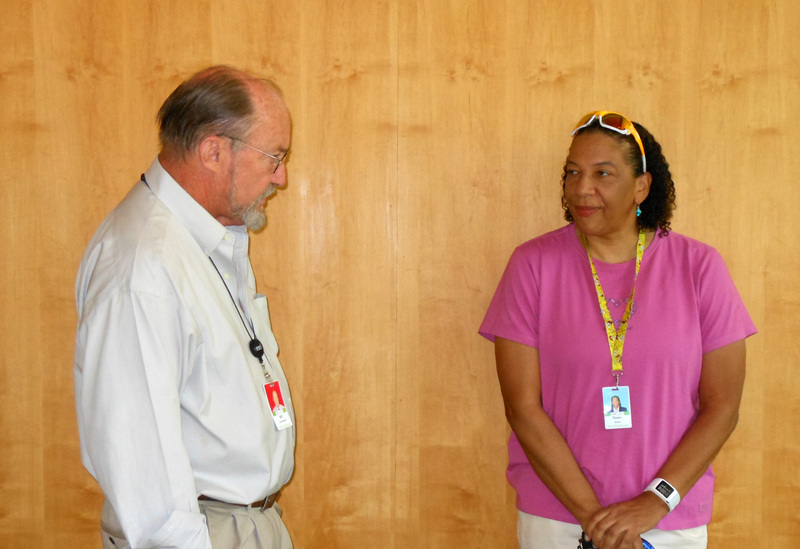 Yesterday, long-time ArcNews editor and my friend Tom Miller retired. He leaves a monumental legacy: 79 issues of a magazine that today reaches about a million people each quarter. In a time when many people pass their lives by simply checking boxes and plodding through life, Tom was a true creator. Whether putting together an issue of ArcNews or writing another book, Tom was–is–a master at taking a random assortment of half-baked ideas and rough drafts and nurturing them and growing them into documents that have meaning. 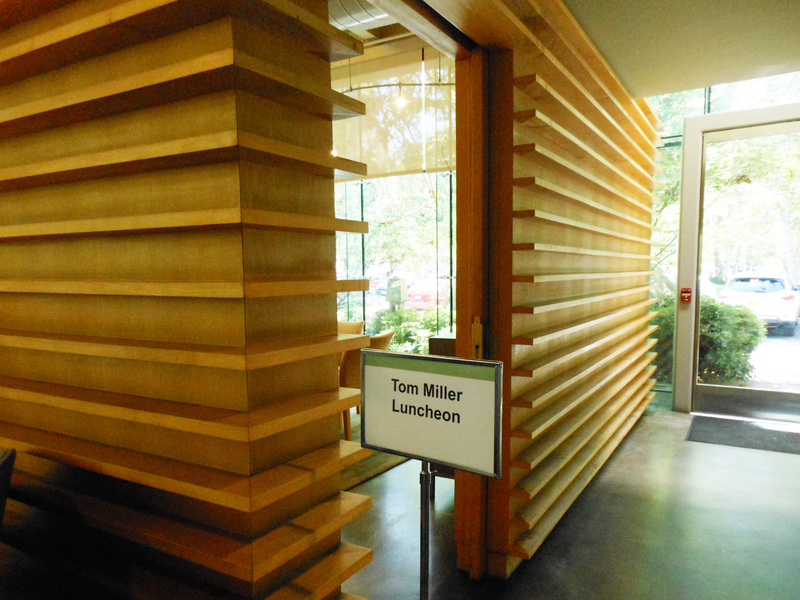 Jack Dangermond had some very kind words for Tom during his farewell lunch yesterday. He praised Tom for his editing skills, but more importantly for the enormous impact his creations have had on the GIS community. 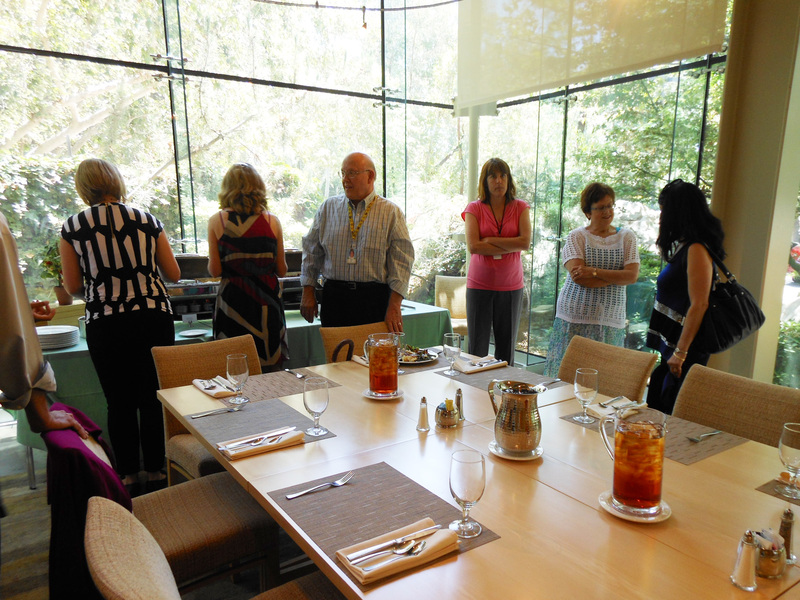 Tom’s retirement lunch in the “Zen Room” in the Esri Cafe’. 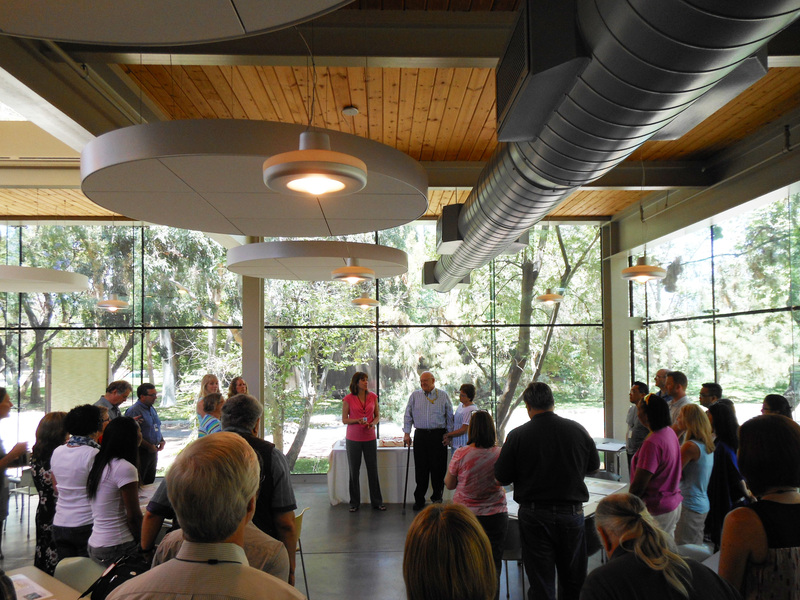 Bill Derrenbacher, Esri’s director of professional services, chatting with Dr. Dawn Wright, Esri’s chief scientist. 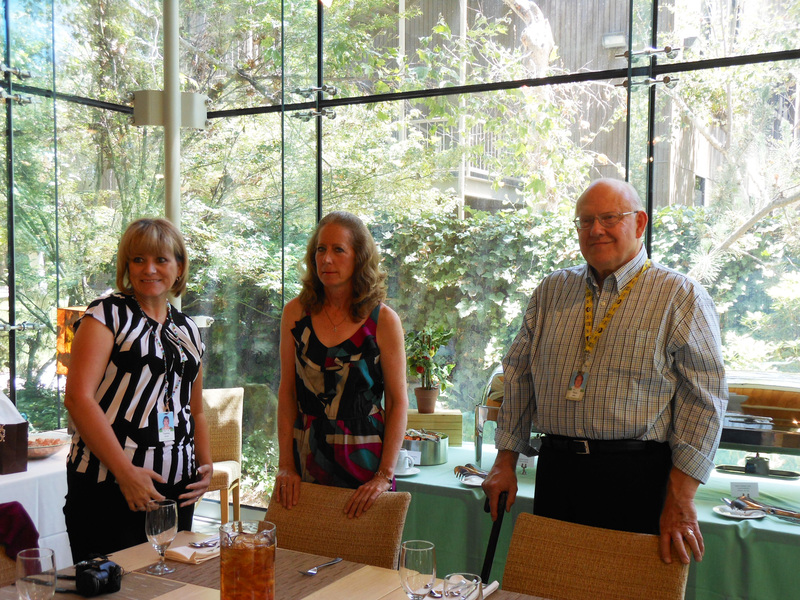 Tammy Johnson, who designed many of Tom’s 79 issues of ArcNews; Monica Pratt, ArcUser editor and Publication Team Lead; and the man of the hour, Tom Miller. 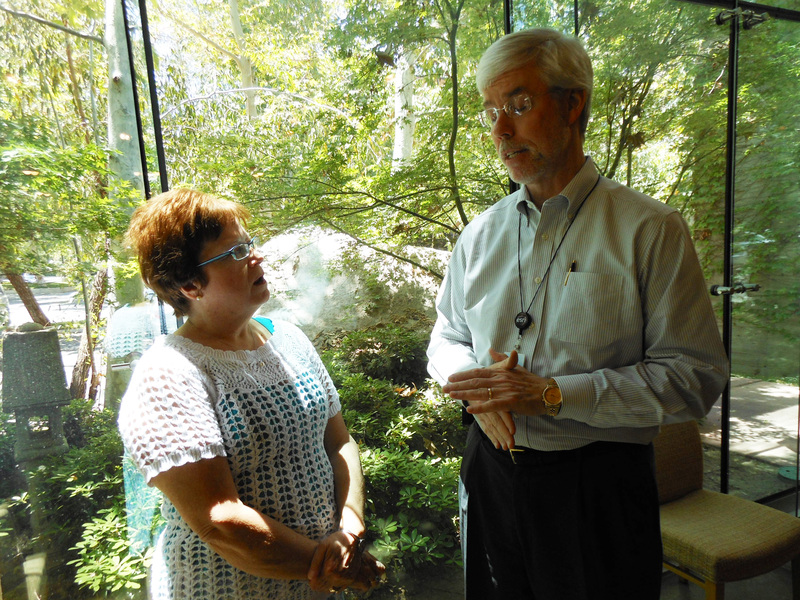 Tom’s wife Jayne chatting with Pete Schreiber, Esri legal counsel. 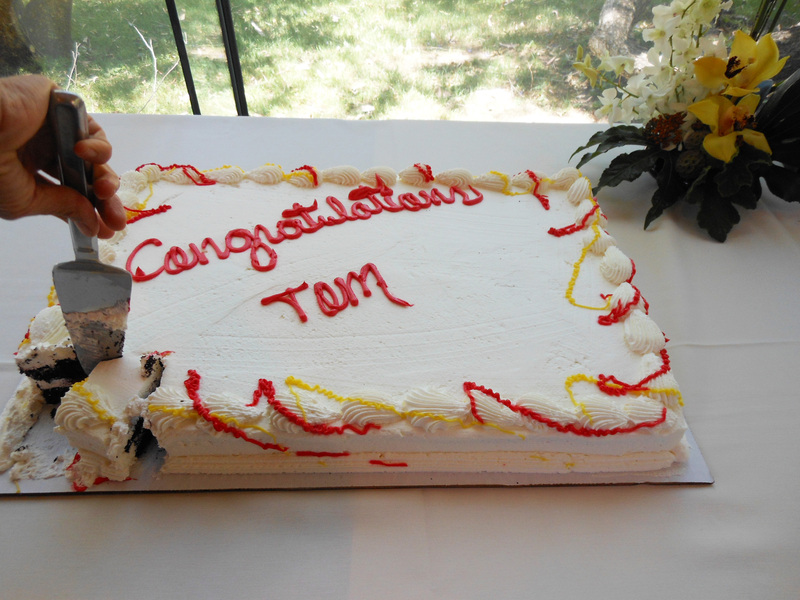 After lunch, many friends and co-workers gathered for Tom’s retirement cake. 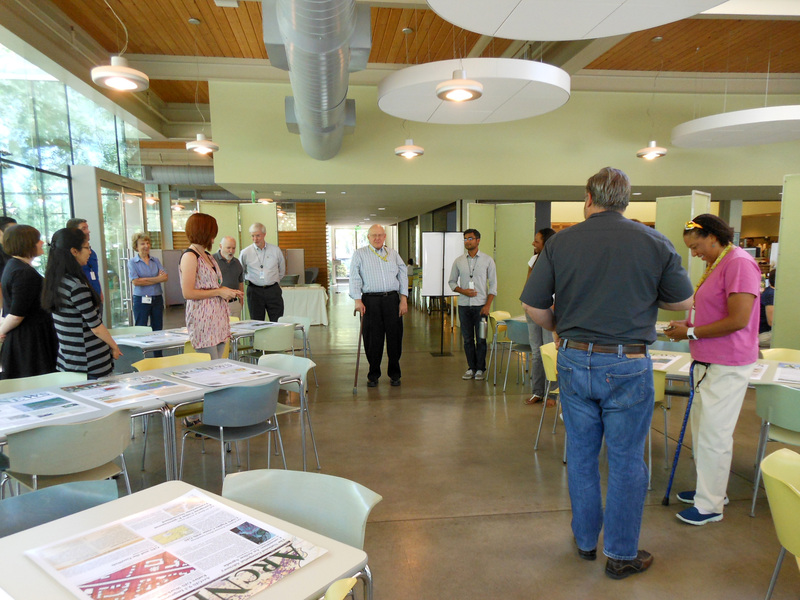 The tables were covered with enlarged copies of ArcNews issues he created over the years. ArcUser editor and Publication Team Lead Monica Pratt sharing some stories about Tom. 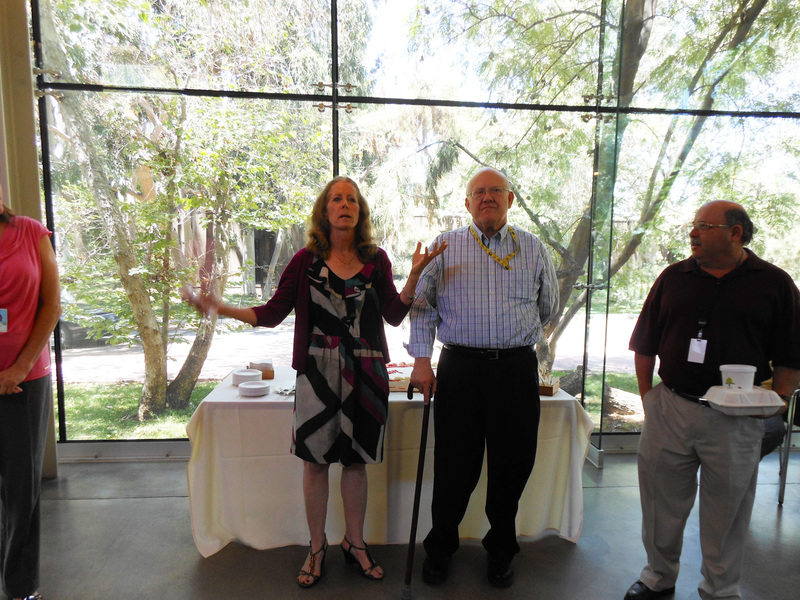 Karen Hurlbut, who was editor of ArcNews before Tom took over some 20 years ago, shares some stories. Enough talking! Cut the cake! Tom with his “card”–a custom issue of ArcNews with tongue-in-cheek articles, such as the one pasted below. The 2014 Nobel Prize for Literature was awarded to Thos. 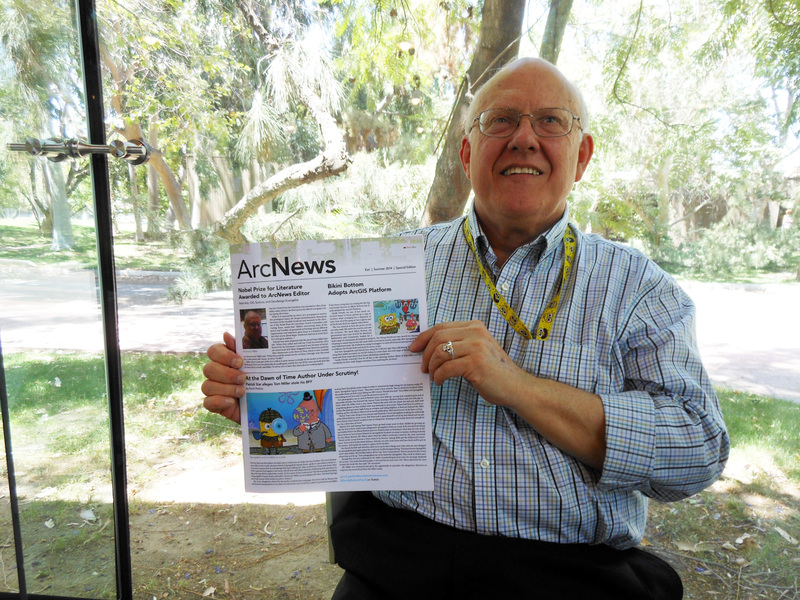 Kent Miller, editor of Esri’s ArcNews quarterly tabloid newspaper, for the issue titled “Spring 2014”. Enjoy your retirement, Tom–you certainly deserve it!